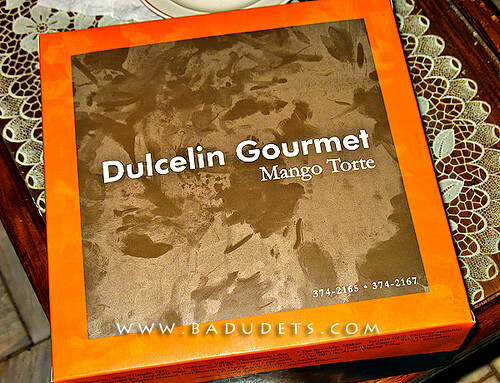 dessert | Badudets Everything Nice! Greenwich, my favorite fastfood-of-the-moment brings in new desserts to their menu. If there’s one thing I look forward to after a meal, it’s dessert. The new desserts offered are the very reasons why I keep coming back every week, aside from their lasagna. First off is the Overstuffed Brazo de Mercedes, Php 99. Overstuffed means there’s more custard filling than the meringue part which I love. I’m really not a fan of icings and meringues, so the creamy yellow custard filling is a treat for me. It’s not sickly sweet either, but one serving of this can be shared by two people to lessen the guilt. It was my mother’s birthday and I’m planning to buy her a cake that will suit her finicky taste. She doesn’t want her cakes too sweet, she doesn’t want so much toppings, she just want her cake simple, yet delicious. Estrel’s Caramel Cake would have been perfect at that time but when I called, all their cakes were sold out. I was told that I should reserve a day earlier since their cakes are made-to-order. 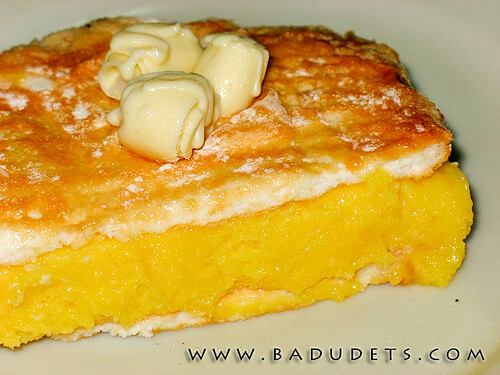 And so I searched for another alternative, a friend suggested Dulcelin’s Mango Torte.